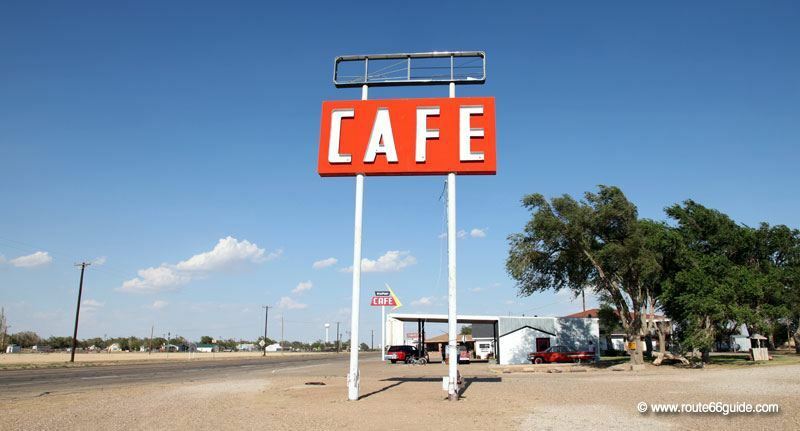 Above: Midpoint Cafe in Adrian, Texas. 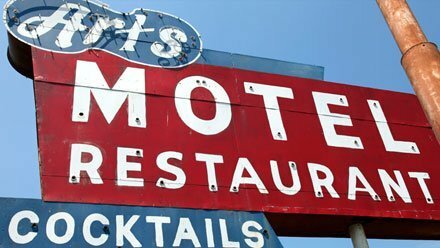 While Route 66 was undoubtedly a fertile breeding ground for multiple restaurant (including drive-thru) and accommodation (it popularized motels, hotels, entirely dedicated to automobiles) concepts, it was no less an extraordinary culinary laboratory for the hundreds of restaurants that moved nearby and invented local specialties that went down in history. 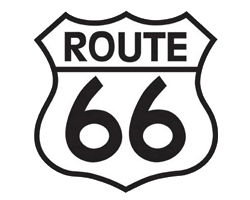 Chicago, the starting point of Route 66, one of the most effervescent cities on its path, developed the Deep-dish Pizza with its hyper-generous topping baked in a pie top and garnished with various specialties of Italian-American charcuterie. 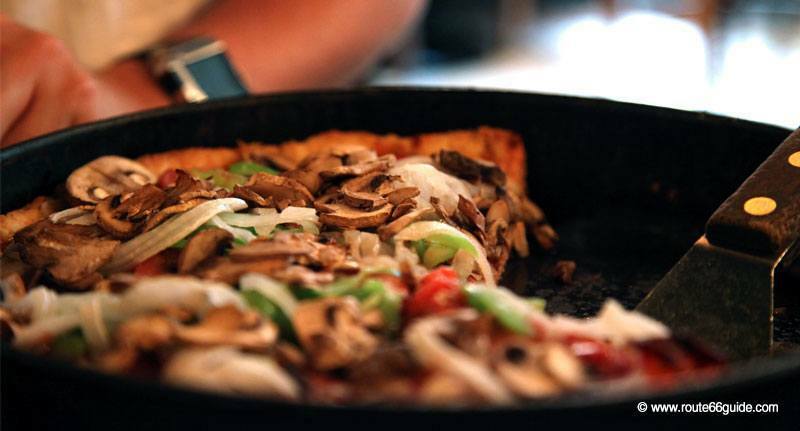 Above: Deep-dish Pizza in Chicago, Illinois. Still in Chicago, a Jewish restaurateur invented the "Chicago dog" or "Chicago-style hot dog", containing a kosher beef sausage and a good dose of greens but never ketchup! That is, it seems, the healthiest hot dog in its class. Undoubtedly, the less healthy hot-dog in its class! 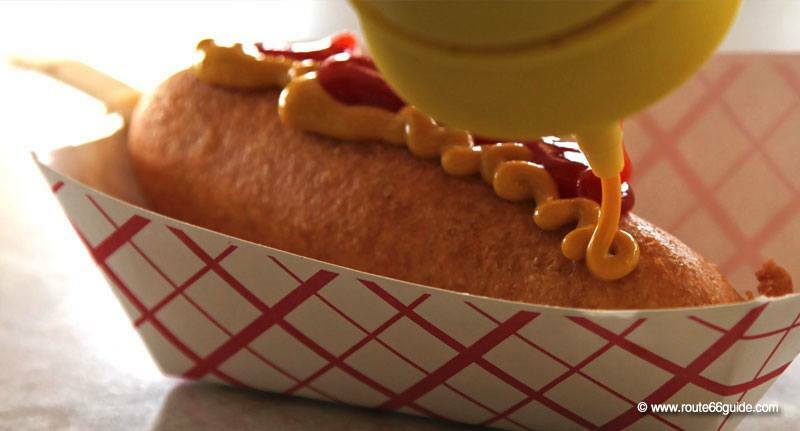 The "Cozy Dog Drive-In", the legendary establishment near Route 66 in Springfield, Illinois, serves its hotdog on a stick, slowly french-fried in some sort of batter sauce. All washed down with mayonnaise and / or ketchup, that goes without saying! 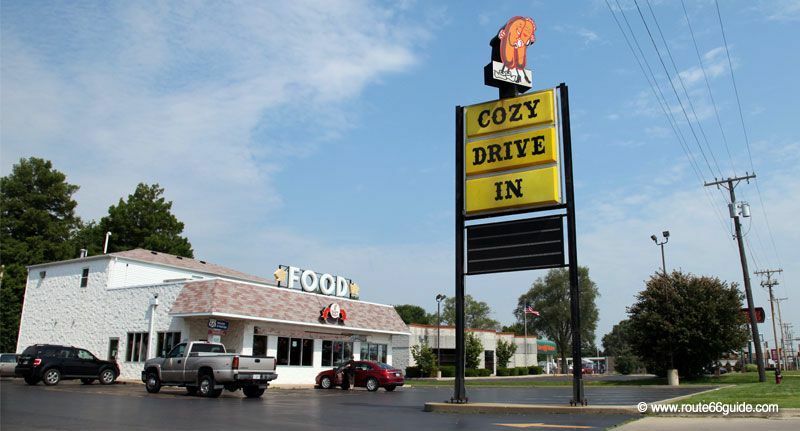 Above: Batter-fried "Cozy Dog" of Cozy Dog Drive-In, Springfield, Illinois. 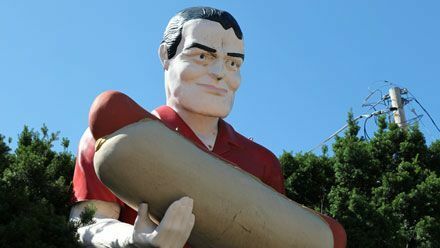 Its enormous and downright mythical panel is topped by two giant hot dogs depicted in a close, loving embrace. 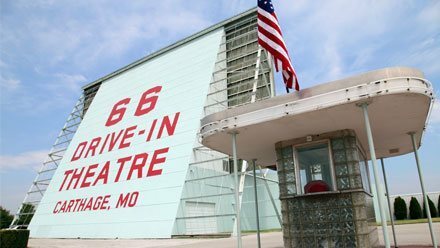 Above: Hot dogs hugging above the giant panel of Cozy Drive-In. Springfield, Illinois. Springfield, Illinois, takes pride in having invented - admittedly a creation of little dietary value - the "Horseshoe sandwich". It consists of hamburger meat (beef, but also pork, chicken or fish) placed on two open face loaves - served open and not closed like traditional burgers- generously covered with fries, nearly submerged in the famous secret cheese sauce”. Each chef offers his version, usually composed of eggs, beer, butter, cheese, Worcestershire sauce, mustard, salt and pepper. The jury is still out on the authorship of the "Horseshoe sandwich" but it is generally attributed to Chief Steve Tomko, who first produced it in 1928 at the "Leland Hotel" in Springfield, Illinois. Today, it represents a staple of the Central Illinois cuisine. Less trained stomachs may appreciate its little sister, the nicely titled "Pony Shoe". 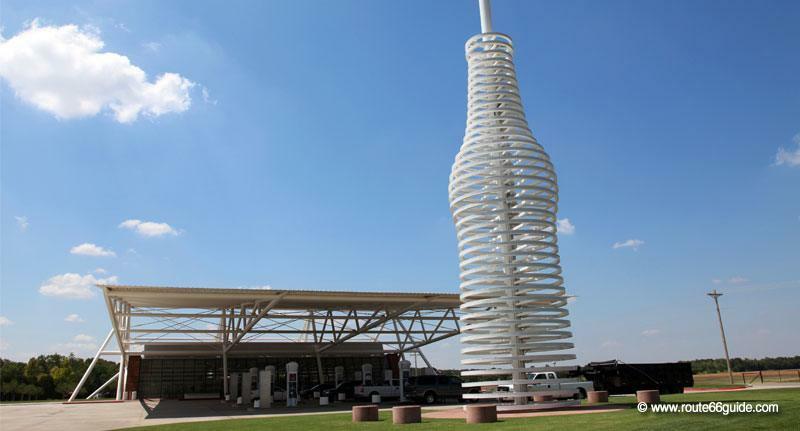 In the United States, soda is not an empty word and the drink boasts an infinite variety: from the traditional light or organic sodas to fruity lemonade sodas to home-made variations of the famous root beer, it is a serious matter where "Pops ", in Arcadia, sets the tone. This restaurant-shop is specialized in all kinds of soda, offering the broadest range of its kind on the planet! On the menu, over 500 soft drinks in an atmosphere - rather speed - of the 50s-60s. Some establishments produce famous products that can be acquired locally. 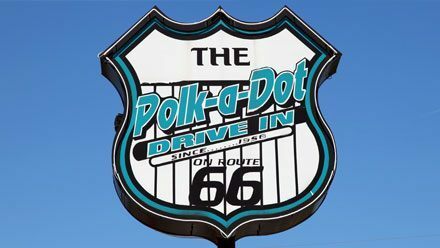 In particular, the maple syrup of Funks Grove, an establishment that soothes Route 66 travelers since its inception. This vast area, dotted with hundreds of stalls, experienced the heyday of the mythical route and its decommissioning. It is now isolated in the small ghost town of Funks Grove, haunted by the Walker Store and Historic Depot. Above: Funks Grove Pure Maple Sirup. Funks Grove, Illinois. 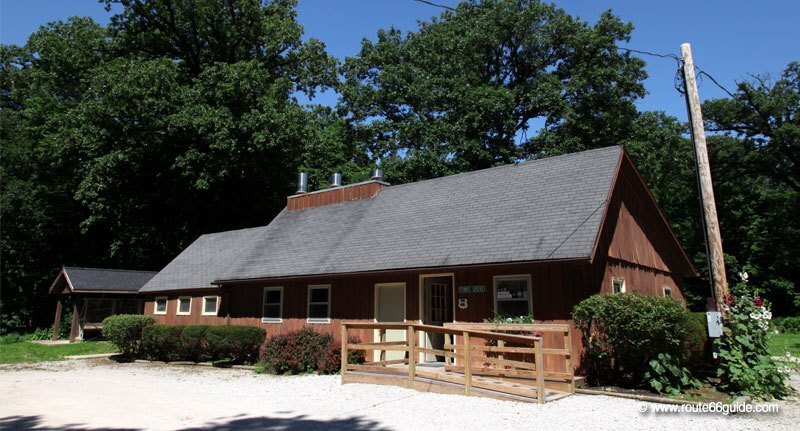 The home-made barbecue sauce of the "Missouri Hick BBQ" in Cuba, Missouri is a one-of-a-kind experience This restaurant specializes in smoked meats and develops its own sweet and sour sauce, a perfect match for grilled meats as well as poultry. 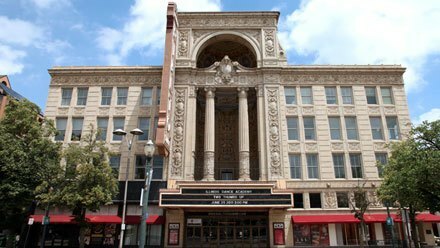 It is sold directly on site. We can taste the different sauce varieties offered as meal accompaniments. 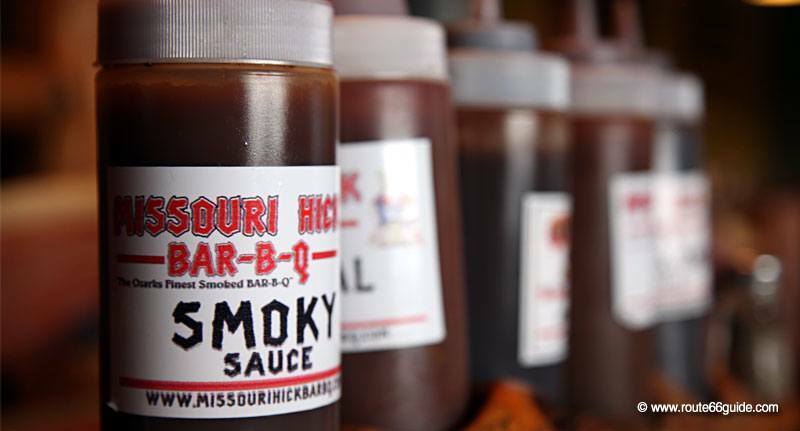 Above: The famous Bar-BQ sauce of Hick BBQ in Cuba, Missouri. 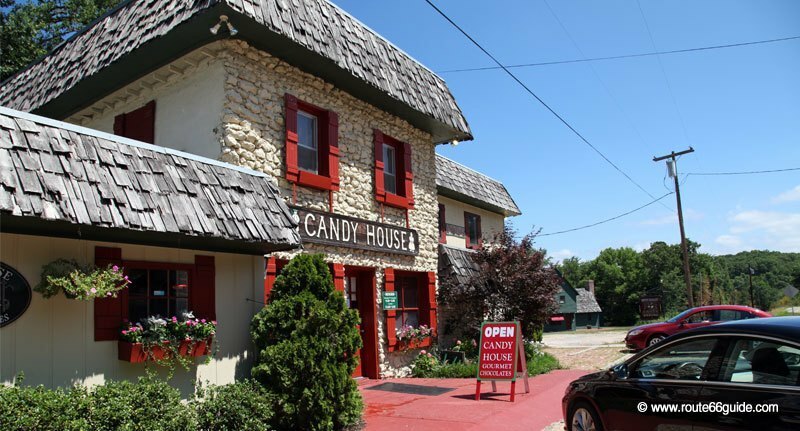 In the southern tip of Missouri, where the state ends, the small shop "Richardson's Candy House" occupies a beautiful stone building, a former bar on the edge of Route 66 built in the 50s. Lost in the middle of the forest past Joplin, it offers an assortment of home-made sweets in old-fashioned style, as well as gourmet chocolates produced in the marvelous house. Above: Richardson's Candy House. Outside of Joplin, Missouri. 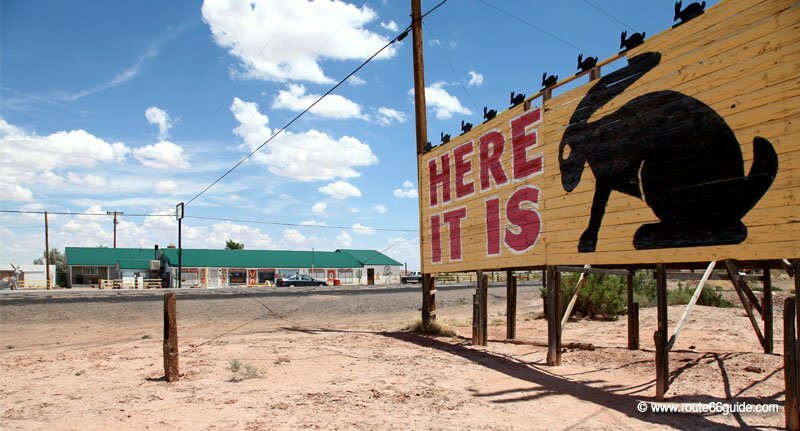 The Jackrabbit Trading Post in Joseph City, Arizona, is not only a Route 66 icon, announced by the giant rabbit reviewed, parodied, photographed, and filmed a million times: "Here it is!". 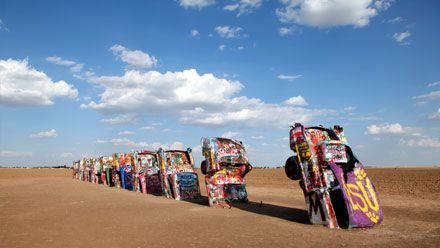 This souvenir shop also manufactures a delicious cherry cider, an original gift idea and rather unexpected ... in the heart of the desert? Above: Jack Rabbit Trading Post in Joseph City, Arizona.